Greece’s President Prokopis Pavlopoulos on Sunday expressed his deepest condolences for the twin terrorist strikes on Coptic churches in Egypt and stressed that Europe must take action to help end the violence in the region.“Today we had two truly heinous terrorist strikes in Egypt and we had there, once again, a display of the true face of terrorism’s barbarity. First of all, I should like to express my deepest condolences and the grief of the Greek people to the president of Egypt and the Egyptian people,” Pavlopoulos said. Condolences are not enough, the Greek president added that it’s Europe’s responsibility to take action. “Europe especially, based on its history and its culture, has a duty to assume its responsibilities. What is happening in the Middle East, in Syria and elsewhere must end. First of all there must be an end to the underlying cause of all this, which is the war,” he said. “We must all, and especially in Europe, stand up against barbaric jihadist terrorism and all terrorism,” Pavlopoulos added. Greece’s foreign ministry strongly condemned the deadly terrorist attack that took place in a Coptic church in Egypt, killing at least 25 people and leaving scores injured, in an announcement on Sunday. 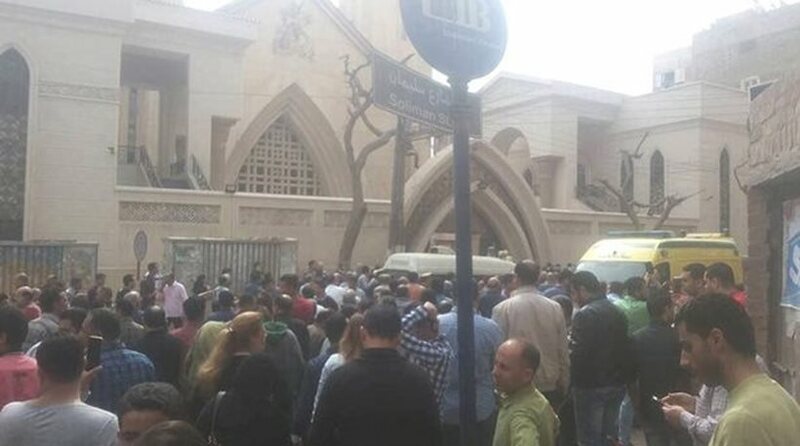 “Shocked at the deadly bombing attack that took place at the Coptic church of St. George, in the city of Tanta, Egypt, we unequivocally condemn terrorism in all its forms. Such instances of barbaric, blind violence will not impinge on the tolerant and multi-faith nature of Egyptian society. Greece stands at the side of its friend Egypt and addresses its deep condolences to the victims’ loved ones, the Egyptian people and their government,” the announcement read. Greece’s main opposition leader Kyriakos Mitsotakis, the head of the New Democracy party, on Sunday expressed his grief at the loss of innocent lives in the terror attack on the Coptic Church of St. George in Tanta, Egypt on his personal Twitter account. “Innocent lives unjustly lost, on the Palm Sunday holiday in Egypt, in the church of St. George. Our thoughts are with the families of the victims,” Mitsotakis’ tweet said.